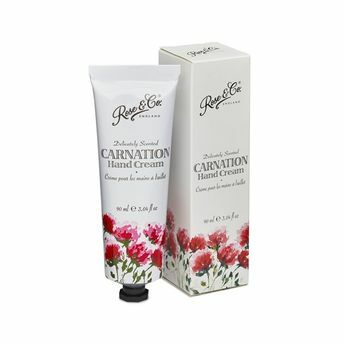 Indulge in Rose & Co's deeply nourishing and instantly soothing Carnation Hand Cream, formulated to protect your hands from damage and drying. Enriched with Vitamin Pro-V5 and shea butter, it moisturizes your hands and helps retain moisture effectively. Bursting with the heavenly scent of Hyacinth, this iconic and traditional floral fragrance full of spicy floral notes with a touch of pepper and clove will keep your hands smelling divine all day.